With zero environmental impact. 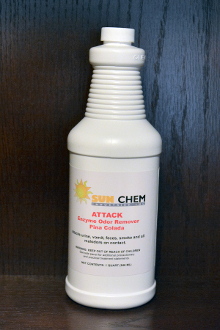 Destroys odors with enzyme technology. Buses/vehicles, drains, carpets, and other areas where organic smells are found. Copyright © 2016-2019 Sun Chem Industries Inc. All rights reserved.